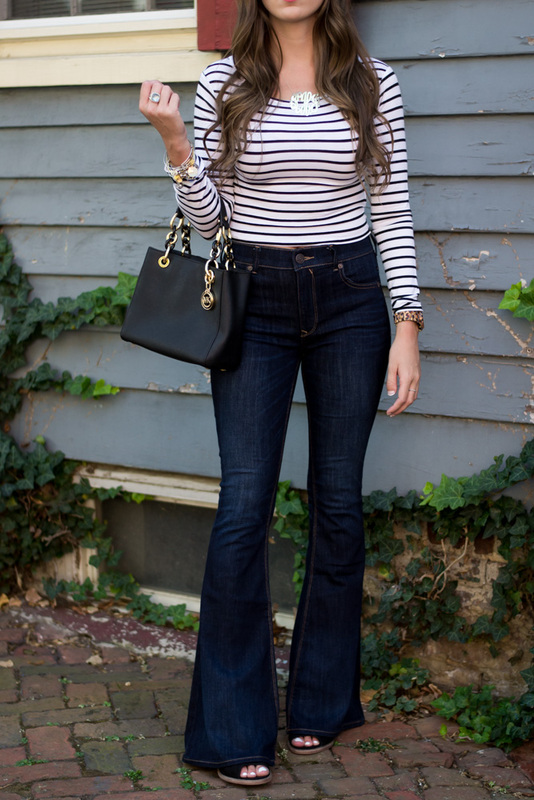 I wasn't sure how I felt about 70s flare jeans coming back into style, but let me tell you... I am obsessed. 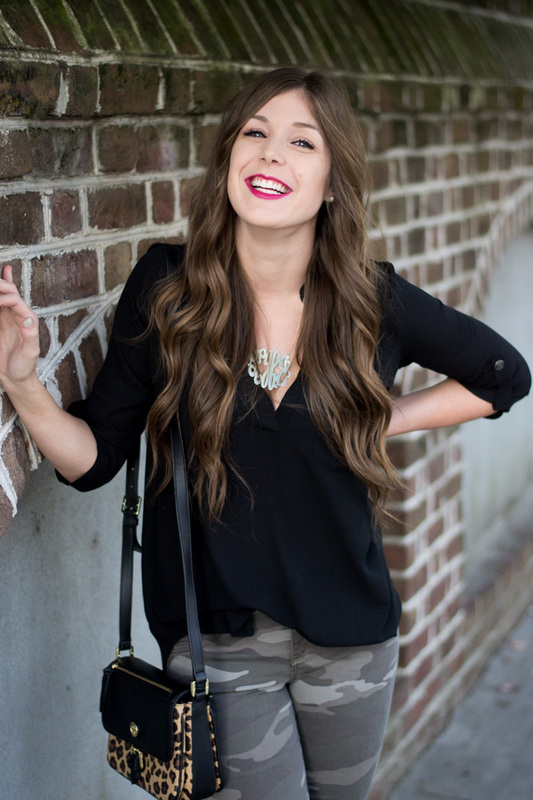 This high waisted pair is so comfortable and super flattering! They also make your legs look super long, which I absolutely love! 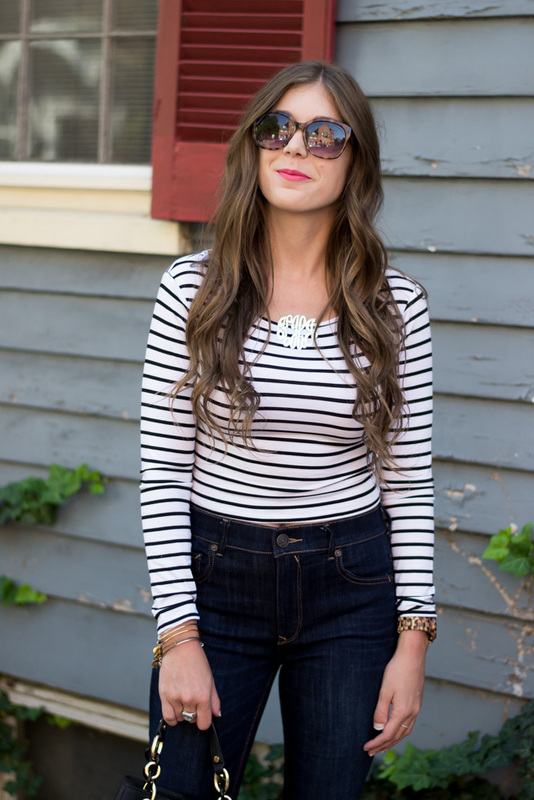 I paired these high waisted flare denim with this crop top, but they would look super cute worn with a sweater as well! 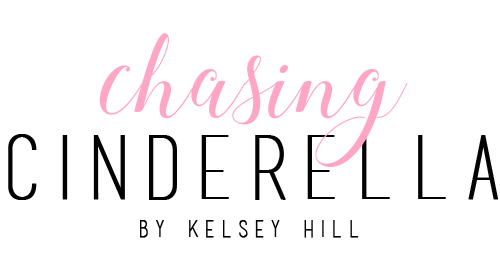 Tobi has such a cute selection of sweaters right now that are perfect for fall and winter! My mom and I are headed to California today and will be reunited with the rest of my family! I cannot wait! We don't have much planned, so I'm excited to have a full week of relaxation! Thank you Tobi for sponsoring this post, all opinions and styling are my own! 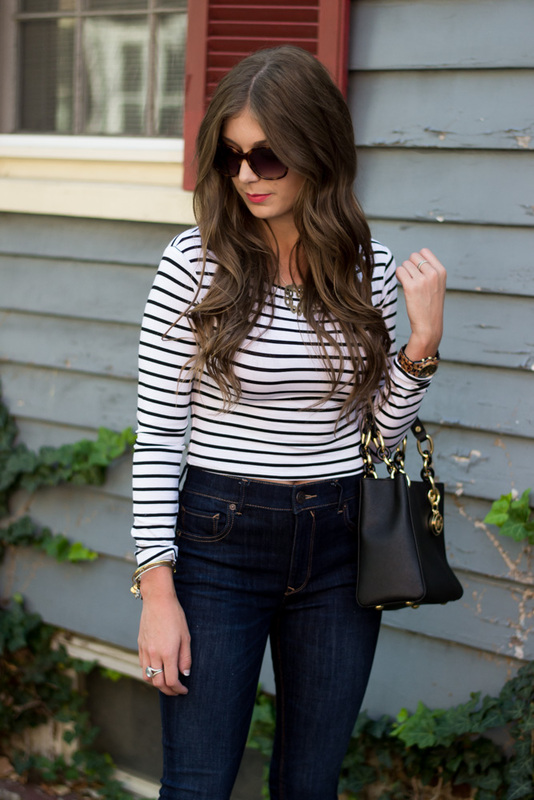 Love these jeans! They look great on you girl. Have fun in CA! Well aren't you just adorable!!! Love this lok babe!! I need those jeans!!!! I love those jeans on you! The dark wash is perfect for upcoming seasons. Have fun in California with your family! I've been seeing some more flare jeans in the stores lately and have been thinking about getting a pair. I think you convinced me! Very cute outfit! Looks great! 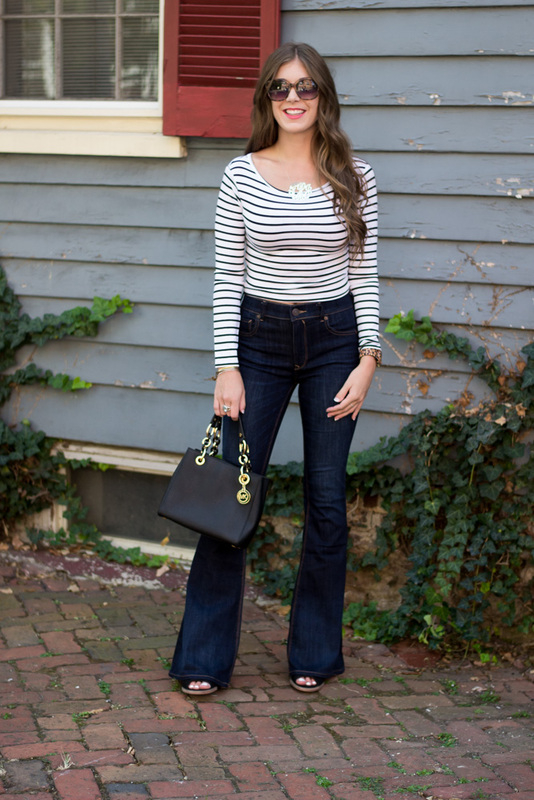 Girl- you rock the flare jeans look! Love it with that little top, so simple but so chic! Those jeans are to die for and look amazing on you!! I too am a little nervous about the return of the flare!! They look so great on you though!! 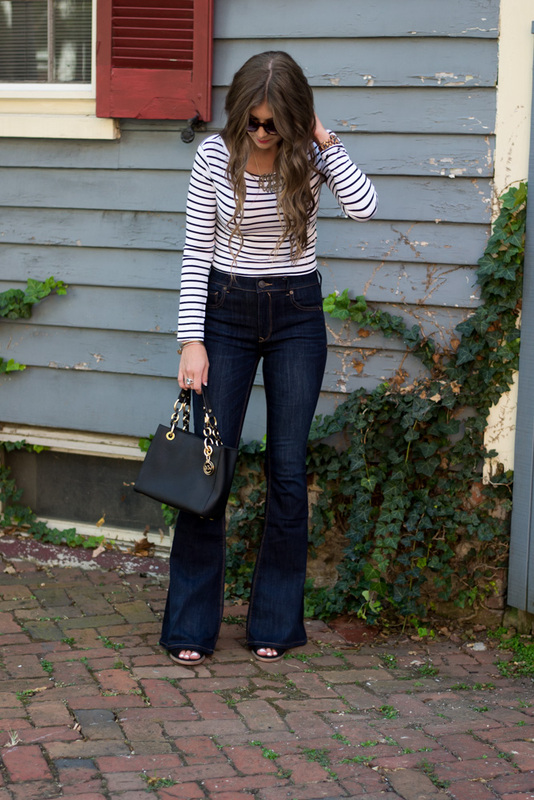 loving these flared jeans on you! I haven't been brave enough yet to try them, but you're inspired me! It is official. I need a pair in my closet. People were scared about the return of the overalls too, but I LOVE my overalls!!! These flares look amazing on you!!! Love this look! These jeans make your legs look extra long! So pretty! Don't they?! I love it! So so chic! 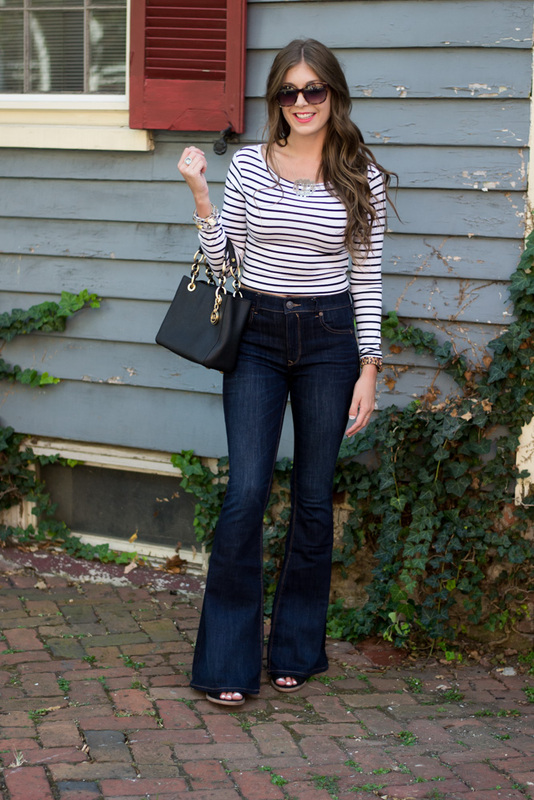 I love this flares on you and you wear them and styled them beautifully! 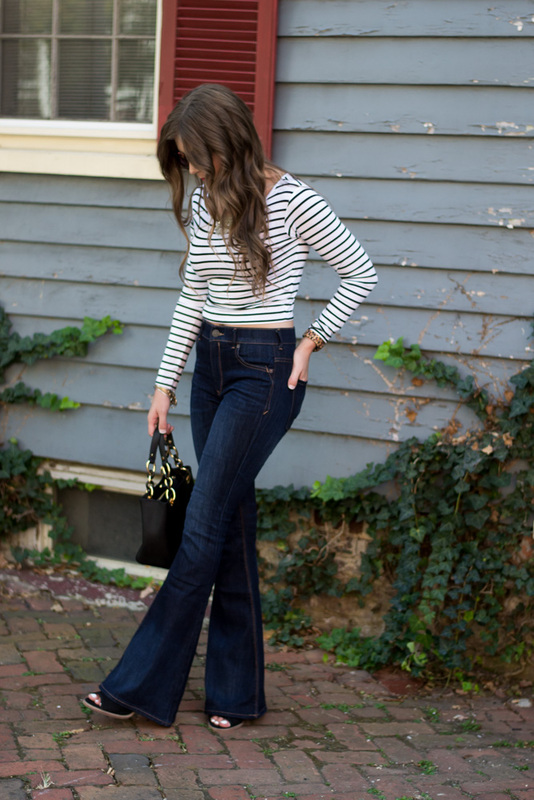 <3 I personally am a huge fan of the 70's vibe and you look amazing rockin' this look!